Being able to handle instruments and tools is an integral part of a number of roles in the food and medical industries. If you use smooth gloves, this can reduce your grip. The Shield GD535 Diamond Textured Nitrile Disposable Gloves (Pack of 100) feature a diamond-studded palm to enhance your grip, making them ideal for tasks that require precise work. 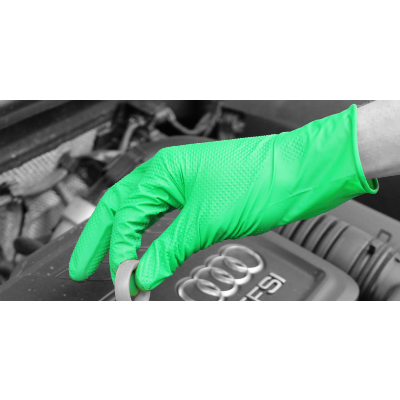 This tests the gloves to ensure they protect you against liquid penetration and micro-organisms. These Shield GD535 Work Gloves have an AQL rating of 1.5 and therefore a performance level one in this area. 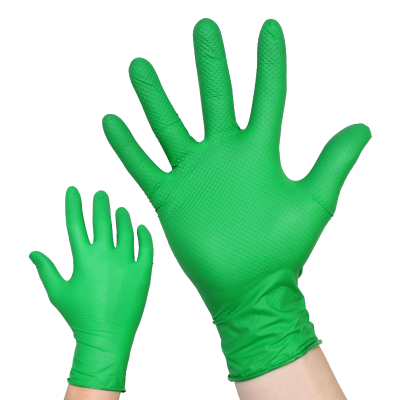 The Textured Disposable Gloves have been tested to this set of standards to ensure they're suitable for single-use medical purposes. The results are shown in the table below. The Shield Textured Disposable Gloves have been evaluated to ensure they can come into contact with food. The test shows that these gloves are suitable for this purpose. 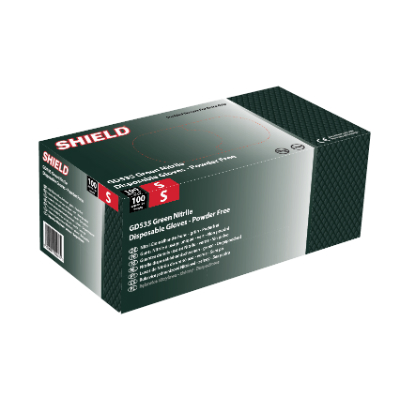 The Shield GD535 Disposable Gloves are available in three sizes. To find the correct size, please measure your hand across the widest part of your palm and refer to the sizing table below.